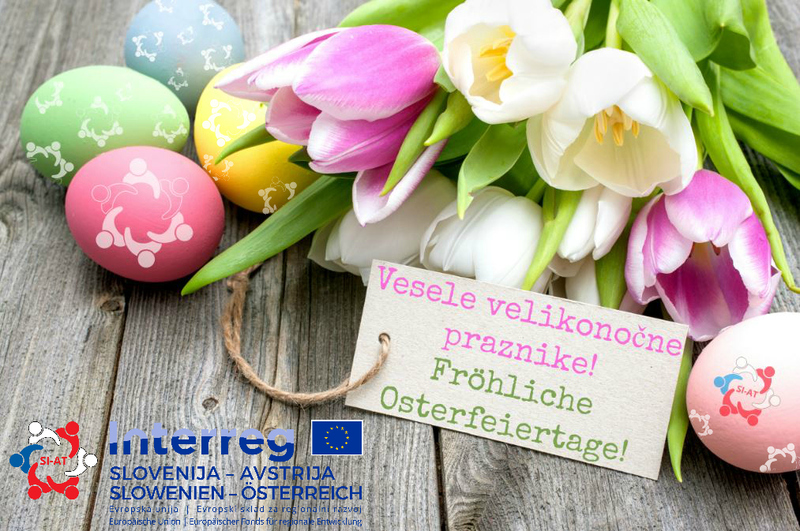 http://www.si-at.eu/en2/wp-content/uploads/sites/8/2017/04/Easter-greeting-2017.jpg 673 1013 natmaj http://84.39.218.252/en2/wp-content/uploads/sites/8/2015/10/interreg_si-at_en115.png natmaj2018-03-29 11:28:272018-03-29 11:28:27Happy Easter holidays! 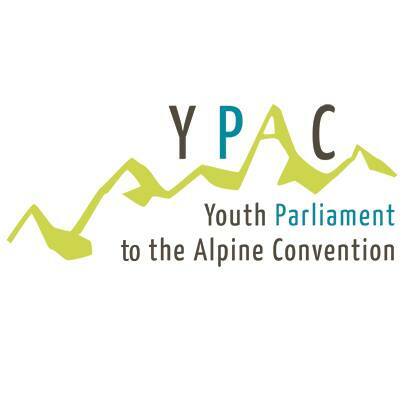 The 13th Youth Parliament of the Alpine Convention takes place from 19 to 24 March 2018 at the II. gimnazija Maribor. 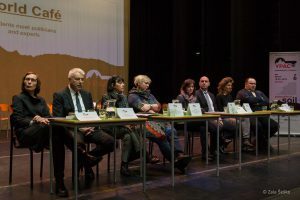 The main theme is the conservation and protection of soil in the Alpine region, and sub-themes are agriculture, urban areas, rural areas and natural disasters. 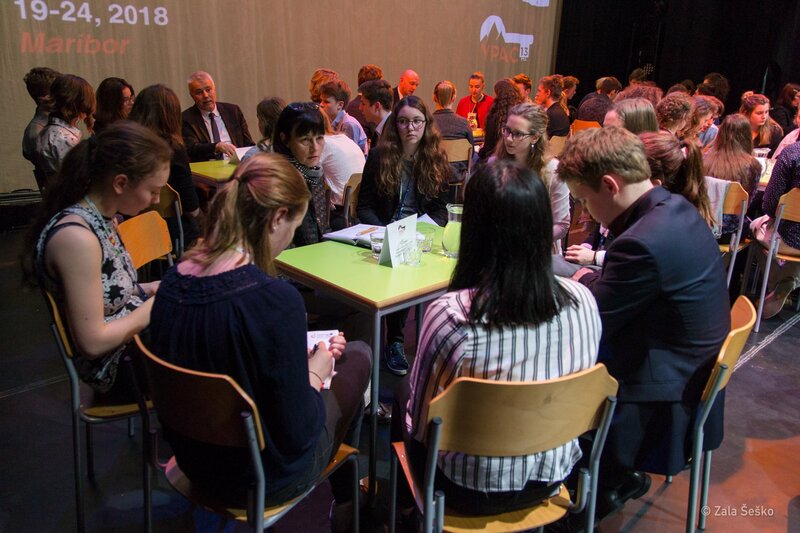 On 21 March 2018, the event “World Café – students meet politicians and experts” took place in the frame of the parliament. 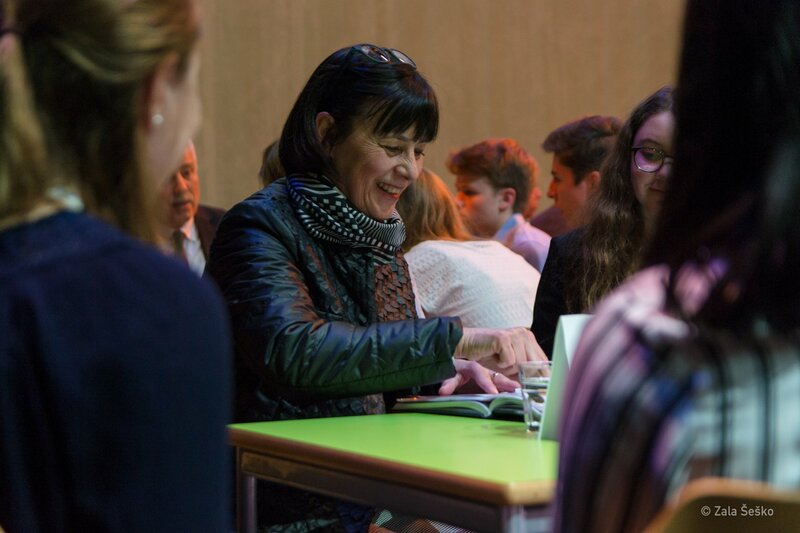 At this event, students from ten secondary schools from seven Alpine countries (Slovenia, Austria, Germany, Italy, Switzerland, France and Liechtenstein) were present, who, together with experts in this field, discussed the protection of soil in the Alpine region. 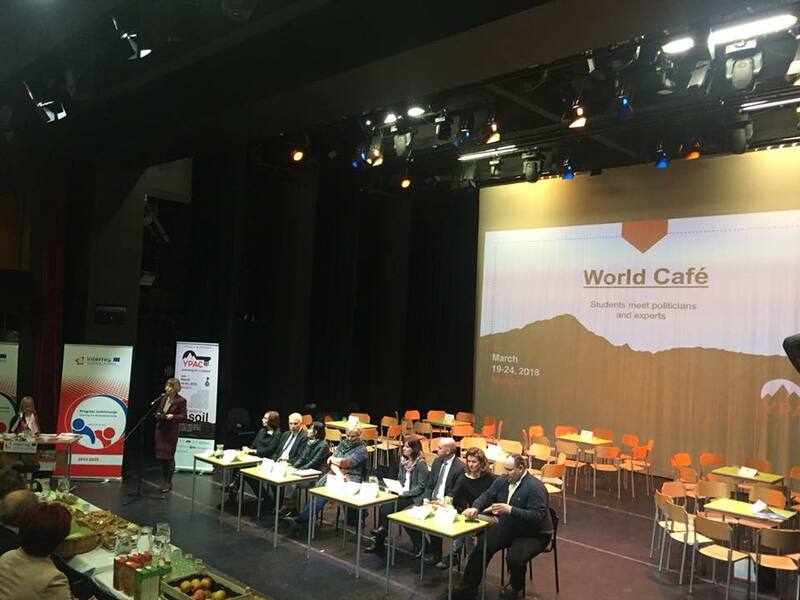 The event was also attended by the State Secretary of the Ministry of Agriculture, Forestry and Food (Tanja Strniša), Deputy Director General of the Directorate for Protection and Rescue of the Ministry of Defense (Branko Dervodel), Member of the National Assembly/Vice-President of the Committee on Agriculture, Forestry and Food (Simon Zajc), a representative of the Ministry of the Environment and Spatial Planning (Helena Matoz), representatives of the Municipality of Maribor (Suzana Prajnc and Lidija Kodrič Vuk), a representative of the International Commission for the Protection of the Alps (CIPRA – Michael Hogenboom Kindle) and the Secretary General of the Permanent Secretariat of the Alpine Convention (Markus Reiterer). 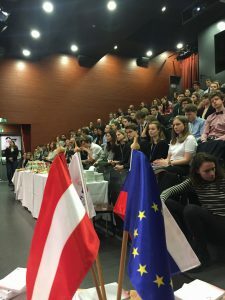 The little less than a hundred participants of the event were also acquainted with the Cooperation Programme Interreg V-A Slovenia-Austria, in which we encourage the strengthening of cross-border cooperation in various areas also in the Alpine region. 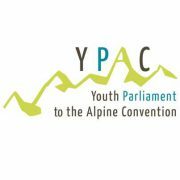 More information on the event is available on the website of the Youth Parliament of the Alpine Convention YPAC and on the website of the II. gimnazija Maribor. 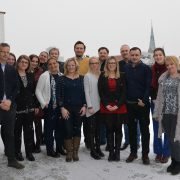 In the frame of the 5th meeting of the Monitoring Committee (MC) of the Cooperation Programme Interreg V-A Slovenia-Austria, which took place on 6 and 7 March 2018 in Riegersburg, Austria, the members of the MC, amongst other, approved projects that were submitted within the third deadline for the submission of project proposals. 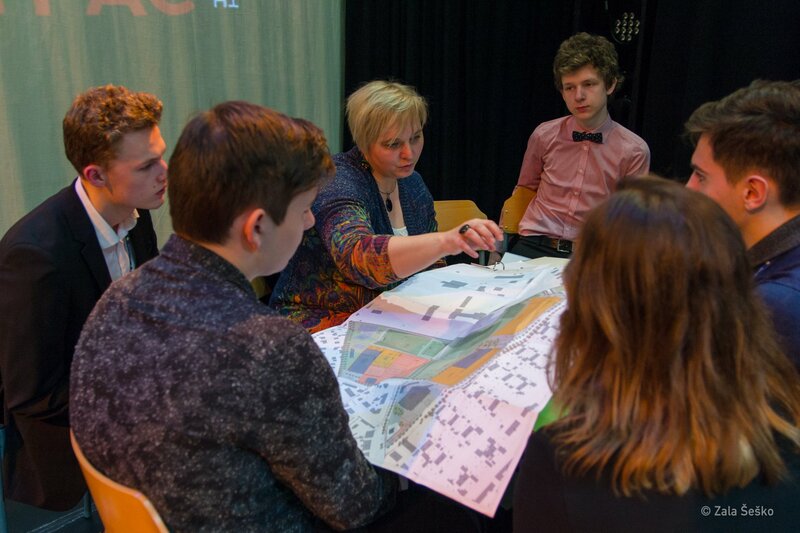 In the frame of the third deadline of the Open Call, 44 project applications were submitted. 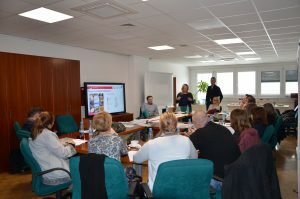 At the meeting in Styria, the members of the MC discussed the administratively compliant and eligible project proposals. 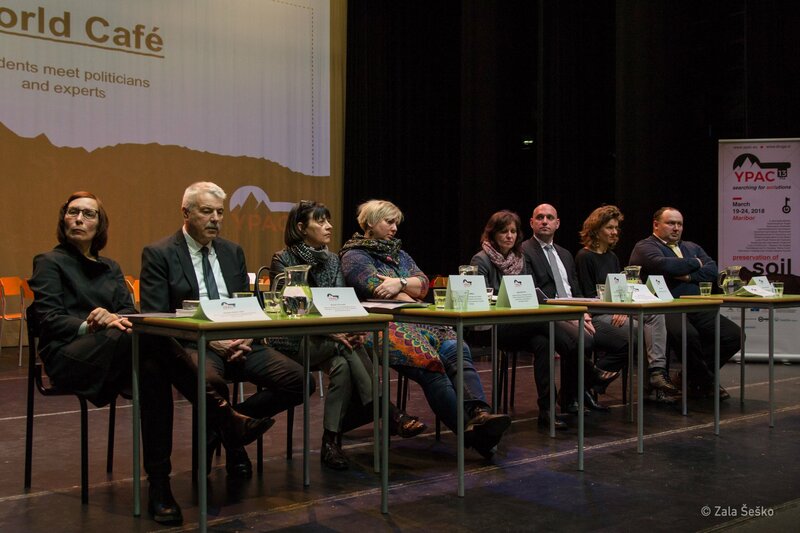 At the meeting, 18 projects were approved, the remaining 20 projects were rejected. 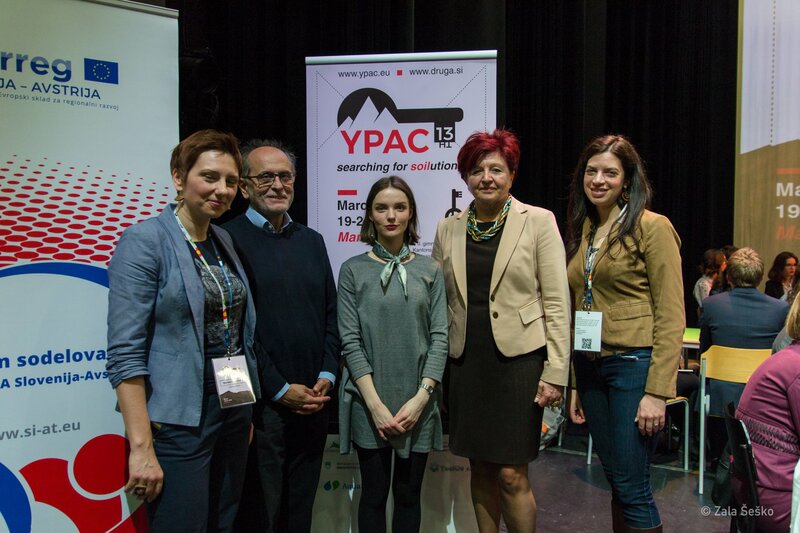 Within the third deadline of the Open Call, funds in the amount of approx. 18,5 mio EUR ERDF will be contracted. 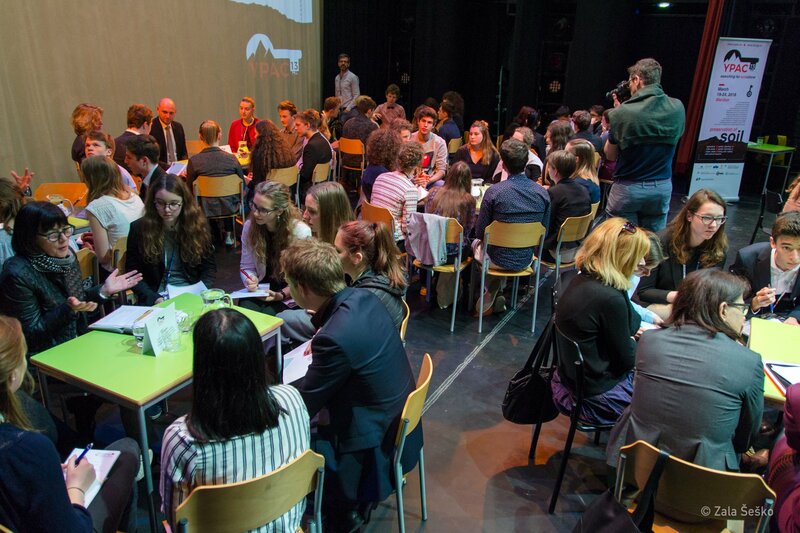 In the frame of the first three deadlines, the programme is contracting about 89 % of all available programme funds. The ERDF Subsidy contracts are foreseen to be signed with the Lead Partners of the approved projects in the end of April. 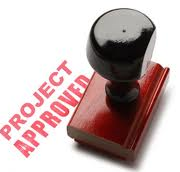 After this date, the exact amounts of still available ERDF funds per priority axis will be available and published.  At the same time, we would like to inform you that the 4th deadline for the submission of project proposals in the frame of the programme will close on 28 November 2018 at 12:00 (noon). 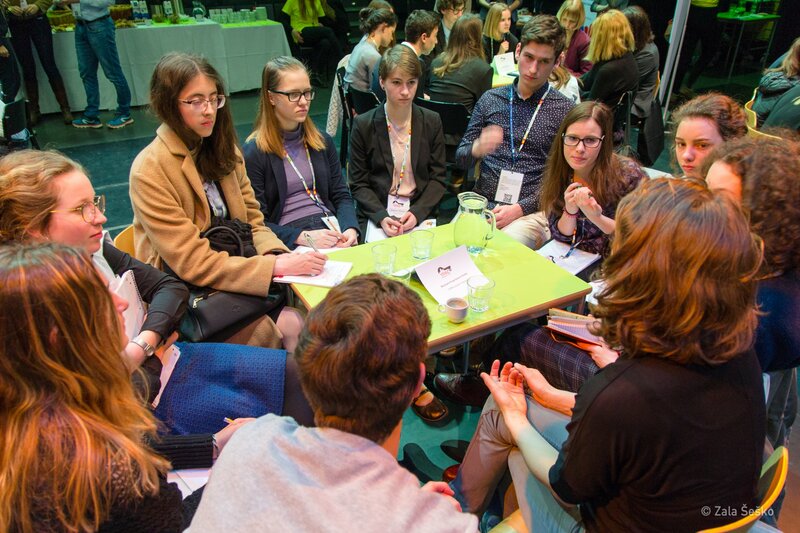 The Open Call and the application pack are available on the programme website. 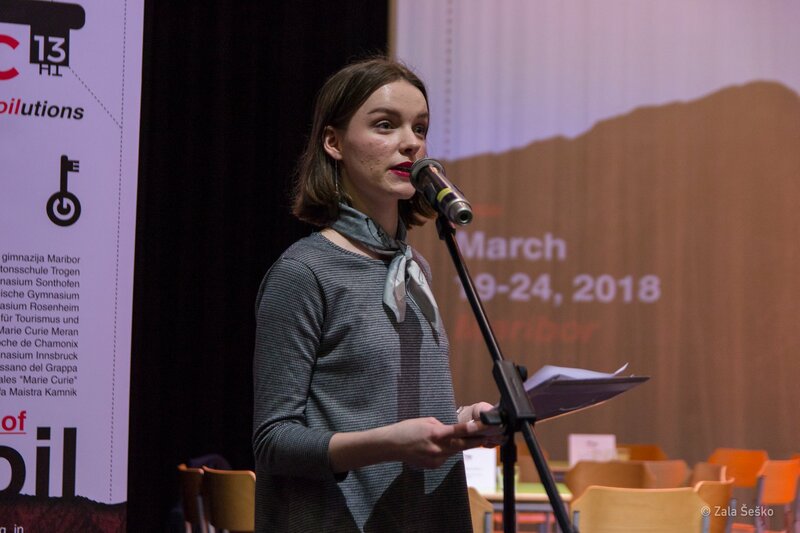 For more details regarding the 4th deadline of the open call for proposals, please contact Mojca Muršec (T: +386 1 400 3153). 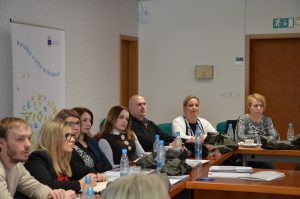 The Government Office for Development and European Cohesion Policy (GODC) in the role of the Managing Authority (for the cross-border cooperation programmes Interreg V-A Slovenia-Austria, Slovenia-Hungary and Slovenia-Croatia) hosted representatives of the executive bodies of the cross-border cooperation programme Kosovo-Macedonia 2014-2020, carried out under the Instrument for Pre-Accession Assistance, on a three-day study visit. 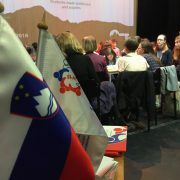 Apart from the members of the Joint Secretariat of this cross-border program, the representatives of the ministries of local self-government from Kosovo and Macedonia, also the responsible ministers, Ivan Todosijević (Kosovo) and Suhelj Fazliu (Macedonia) attended the visit to Slovenia. 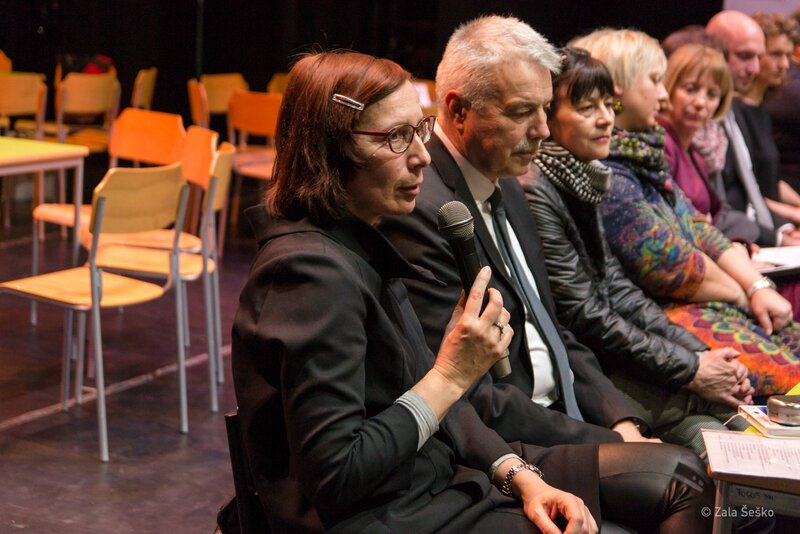 Minister Alenka Smerkolj welcomed the delegation and presented the experiences of the Republic of Slovenia in the field of managing the cross-border cooperation programmes with neighbouring countries and with the implementation of the European cohesion policy, through which, in her view, the European solidarity is pursued. The institutional structures for the management of cross-border cooperation programs, measures for better programme management and the elimination of administrative burdens for beneficiaries, information and publicity activities, the information system (eMS) and the fulfilment of the criteria for e-cohesion and examples of projects co-financed in the frame of the cross-border cooperation programme Slovenia-Austria were presented to the guests. 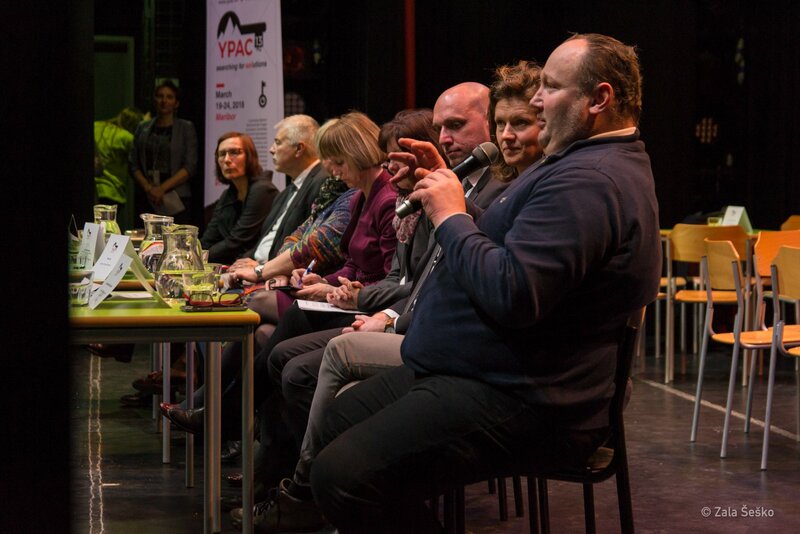 The guests pointed out that the experience of the presented programmes are comparable and directly transferable and therefore extremely useful in practice. 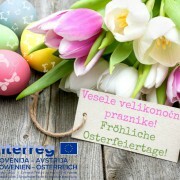 They expressed their wish for further exchange of experience in the field of development planning and implementation of cross-border programmes, and both ministers agreed that cross-border cooperation programmes are extremely important, as they contribute to the coexistence of the inhabitants in the border area, and allow the beneficiaries (municipalities) to obtain direct experience with the implementation of projects co-financed by the EU funds already in the pre-accession period.